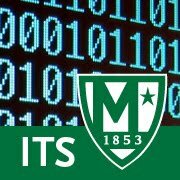 We would like to remind students that ITS offers training in computer support and repair. If you wish to take advantage of our training services please make an appointment and allocate at least 4 hours of your time. We can not allow you to leave your personal property in any ITS office without your supervision. If any equipment is needed for your classes you should consult your faculty member. ITS does not provide this equipment to students.